The Estates at Rancho Mirage is a neighborhood of all single story homes located in the heart of Rancho Mirage, California. Built in 1996, the quaint community consists of only 88 homes and offers a gated entrance, community pools, and an excellent central valley location. 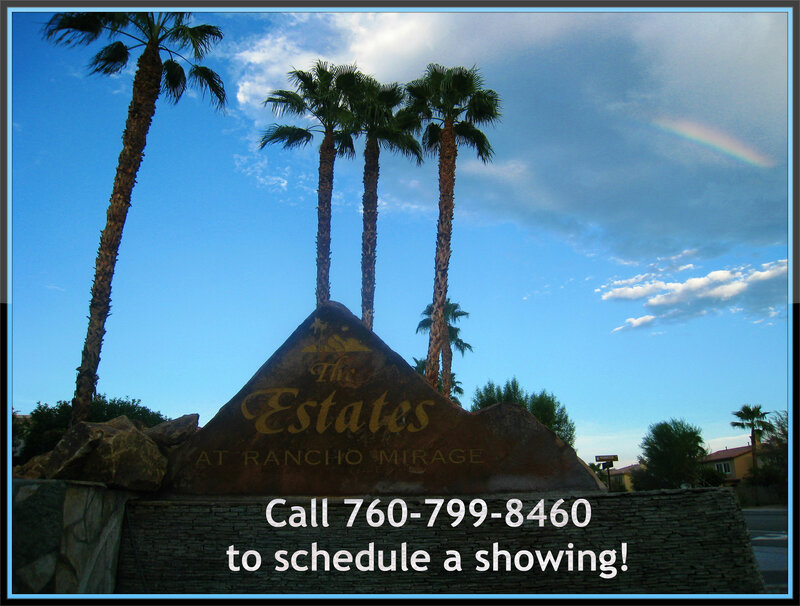 Located just minutes from The River shopping & entertainment complex, the McCallum Theatre & College of the Desert, the shops of El Paseo and so much more. The homes in The Estates at Rancho Mirage are an ideal size for second homeowners or retired folks. The floor plans vary from 1848 sq.ft. to 2673 sq.f.t and offer 2 - 3 bedrooms, plus den options, and 2 or 3 baths. Find more community information here. Find the proximity of grocery stores, restaurants, healthcare services and more from The Estates at Rancho Mirage. 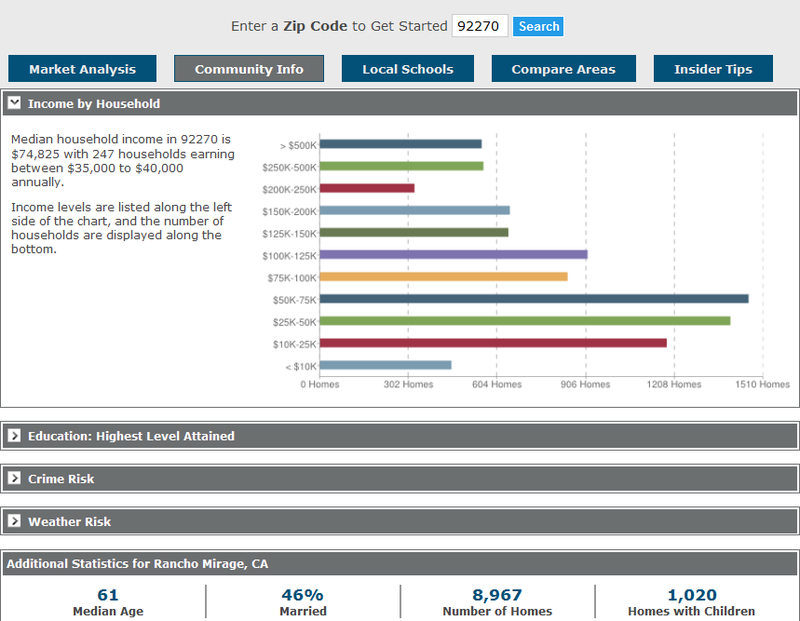 Find local statistics on the average household income in Rancho Mirage, median age, education level, & crime risks of homeowners in Rancho Mirage.